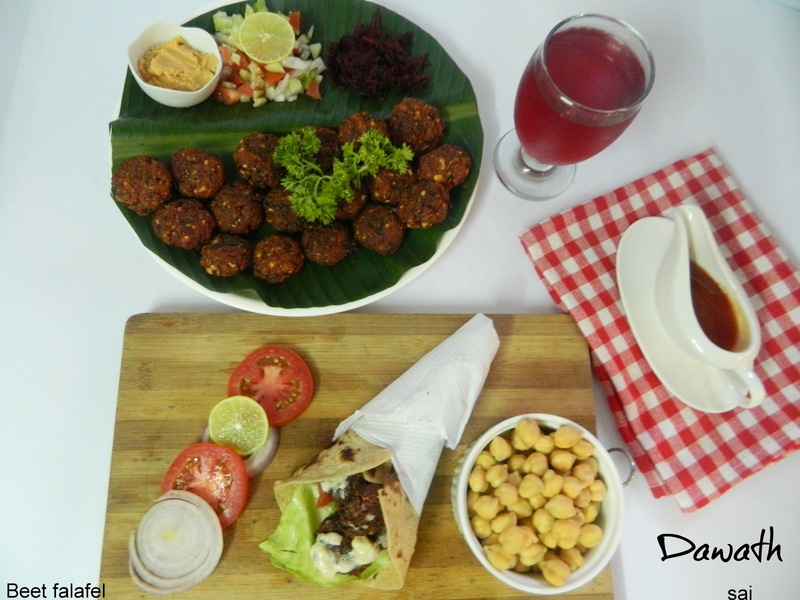 Falafel is a Middle eastern delicacy.Since my theme for the Fb food group was Beetroot,this idea struck my mind ,why not beet falafel. 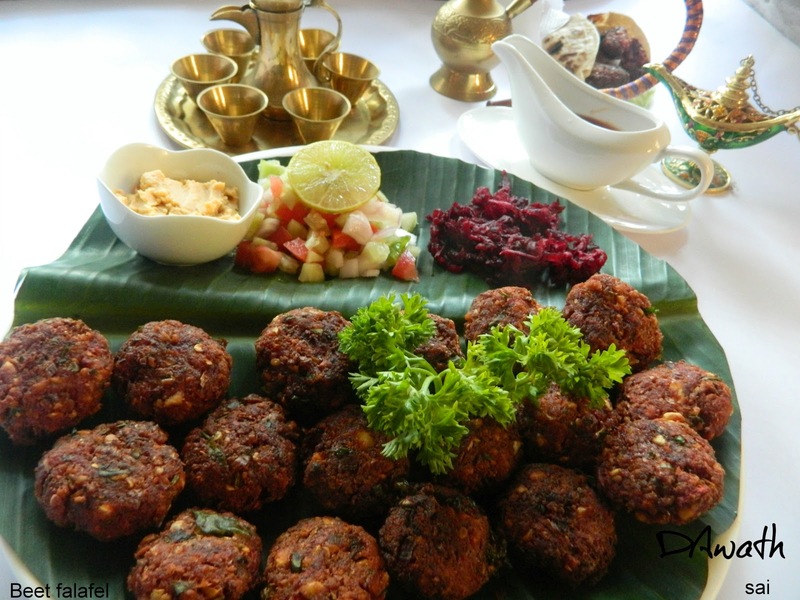 And trust me it tasted crisp and awesome.Cant resist eating only one or two,this is irresistible,you can eat on and on.I had planned for beetroot kosumbari,beet cutlet or beet cheese balls but ended up trying this exotic falafel. 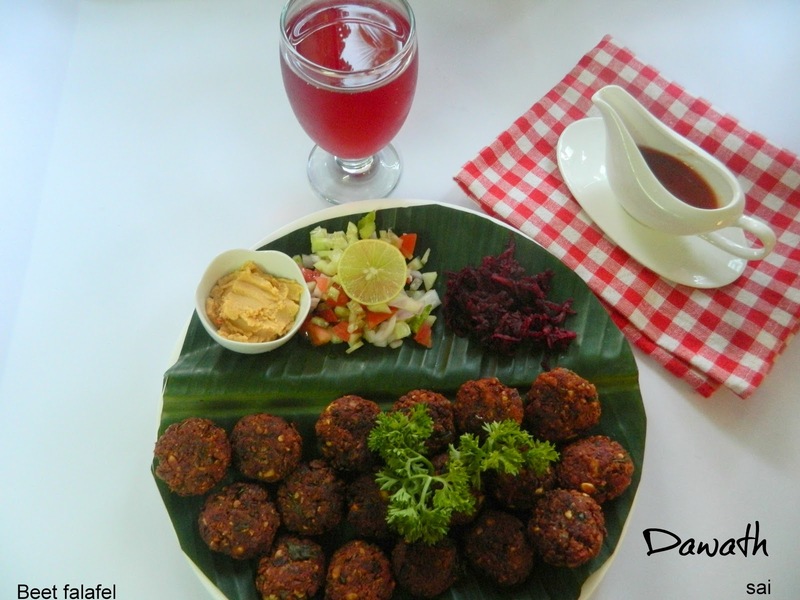 Beetroot is very good for health and tasty too.You may also bake this instead for deep frying.I have already posted Falafel few days back,this is just a updated version.Enjoy it with Tahini sauce or ketchup. Soak the chick pea overnight or for 5-6 hours. Drain the water completely and coarse grind it without adding water. Take a mixing bowl and add the ground chick pea and add all the ingredients except oil and knead it. Make small balls ,flatten a bit and heat oil. Drop it in the hot oil and fry on both the sides until crisp. 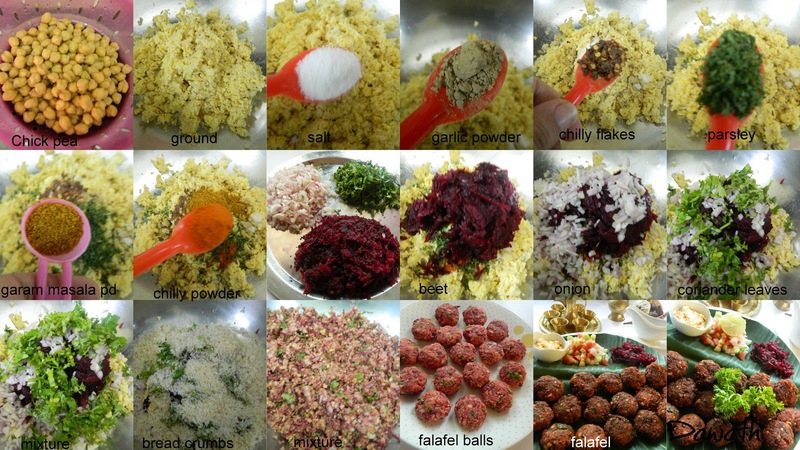 Serve it with salad,tahini sauce or hummus. 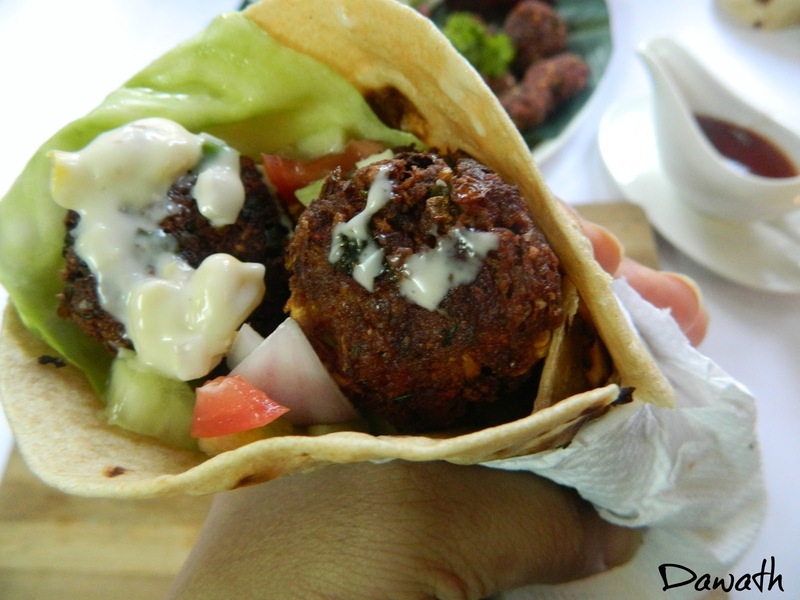 You may also use Pita pockets and stuff the falafel and salad. You may also add a tsp baking powder and White sesame seeds to the dough. Generally we keep the dough aside for 20 minutes covered with a damp cloth,and then add baking powder and do balls and deep fry,but today I didn’t do so since I was short of time. For fresh bread crumbs just add the slices of bread in a blender and coarse powder it.